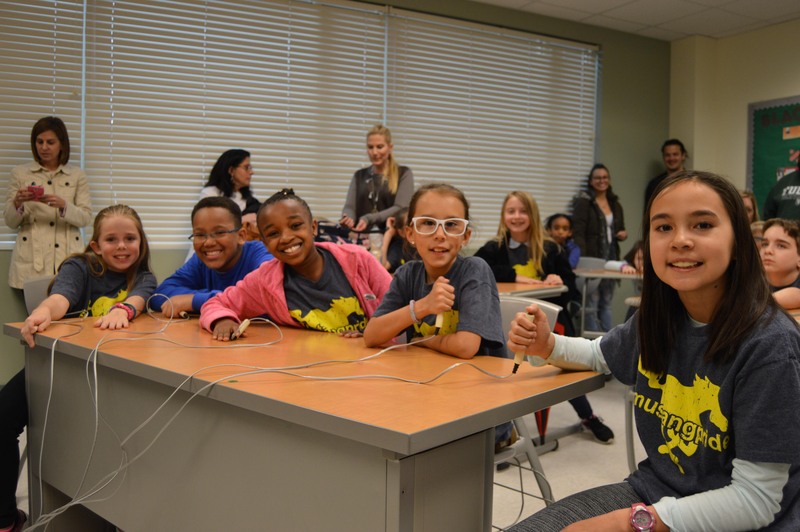 Reading bowl ignites competition and imagination. More than 840 students from 14 high schools, 20 middle schools and 51 elementary schools in DeKalb County School District (DCSD) made their way to Arabia Mountain High School on January 27 to find out who has the most comprehensive readers. 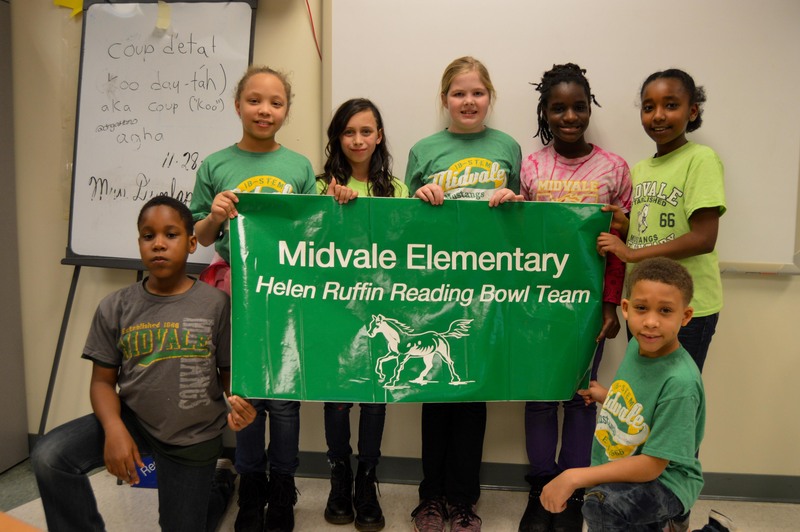 Students’ attention to detail, ability to recall information, speed, teamwork and reaction times were all tested as part of the 2017-2018 Helen Ruffin Reading Bowl in DeKalb County. The Helen Ruffin Reading Bowl, founded in 1986 by DeKalb County media specialist Helen Ruffin, is a competition that tests students on their knowledge of 20 Georgia Book Award nominees at the high, middle and elementary school level. In 2000, the competition went statewide. Moderators ask teams of students questions about the books’ content. The first team to buzz in and answer the question correctly was awarded 10 points. The points are added up cumulatively over the course of six rounds. The team with the highest points after six rounds was declared the winner. 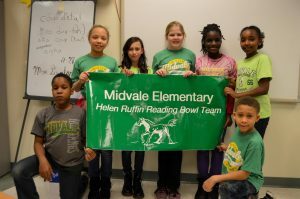 At DCSD, the Helen Ruffin Reading Bowl is a highly competitive source of pride. 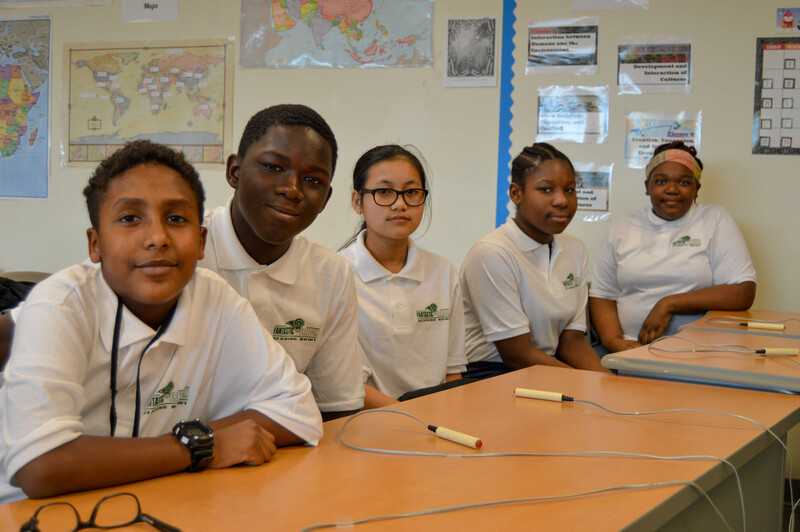 Students begin reading, preparing and practicing for the reading bowl months in advance. 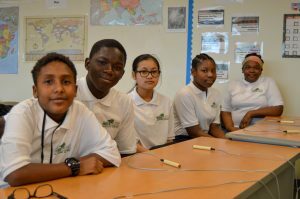 For Freedom Middle School student Muhammad Sosseh, who has participated in the Helen Ruffin Reading Bowl since fourth grade, the competition gives him a chance to partake in his favorite hobby: reading. His teachers and classmates claim he has read more than 2,000 books. Sosseh said his love for reading began when his father took him to the DeKalb County Library’s Clarkston branch at the age of five. Sosseh’s favorite book in this year’s competition was Orbiting Jupiter by Gary Schmidt. Columbia High School sophomore Jordan Paul Harden said the competition was a good, fun experience. Harvey said reading provides him an opportunity to expand his mind and mentality. His favorite book this year is We Are the Ants by Shaun David Hutchinson for its execution of relevant, hard-hitting topics and subject matter. First- and second-place teams at the DeKalb County Helen Ruffin Reading Bowl will advance to regional competition on Feb. 10 at Clayton State University. 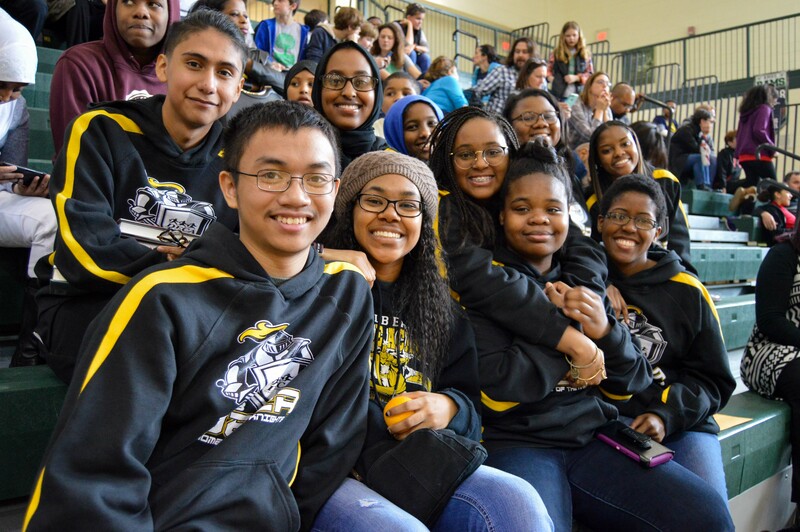 Further levels of competition will include a divisional meet on March 3 at Southwest DeKalb High School, and a final, state competition on March 24 at the University of Georgia. Click here to view pictures from the reading bowl.